These three iconic gay films and the characters in them have been extremely influential on the entertainment world. From the sashaying ways of Albert Goldman to the stoic silence of Ennis Del Mar, these personas have left an indelible imprint on our society. Especially as LGBT people, we looked to them when we needed them most, through our own experiences coming to terms with our sexuality and coming out as queer. But did you know these characters could have looked very different if Steve Martin’s schedule was clear or if Daniel Day Lewis had just said “Yes”? 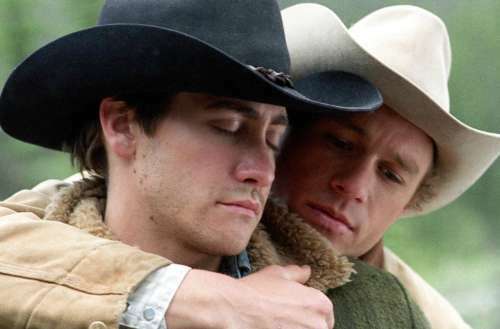 During a Q&A last week in Santa Monica, screenwriter Diana Ossana talked about the difficult eight-year process of getting Brokeback Mountain made into a film. She also explained how she witnessed a long line of “prominent young actors” pass on the project, known around Hollywood as the “gay cowboy” movie. “Nobody would commit,” Ossana said of the film, which at one time looked like it was going to be directed by Gus Van Sant and star Matt Damon and Joaquin Phoenix as Jack and Ennis. She also confirmed Mark Wahlberg was considered at one point. Other actors rumored to have been on that long line of prominent young actors were Josh Hartnett, Colin Farrell, Billy Crudup and Ben Affleck. 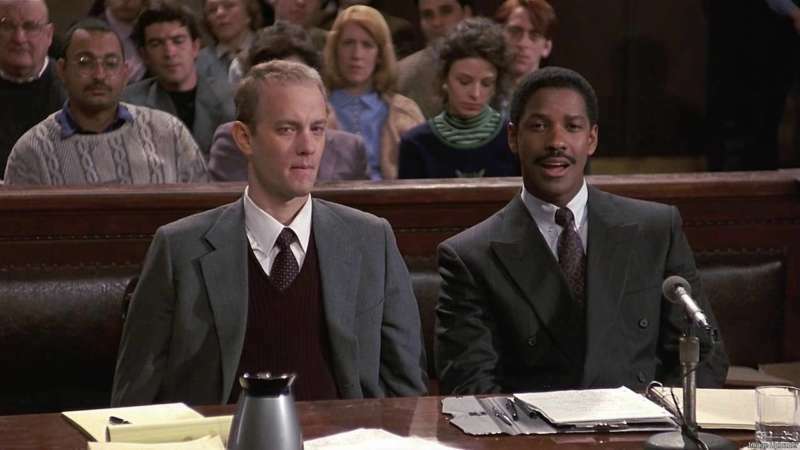 During that same chat in Santa Monica, Philadelphia screenwriter Ron Nyswaner revealed that the role of Andrew Beckett — which won Tom Hanks an Oscar — nearly went to another Academy Award favorite. “We wanted Daniel Day-Lewis, and Daniel passed,” said the Oscar-nominated writer. “I love him and he’s a genius, but I’m so glad he passed.” Other people rumored to have been offered the role first were Michael Keaton, William Baldwin, Tim Robbins and Andy Garcia. 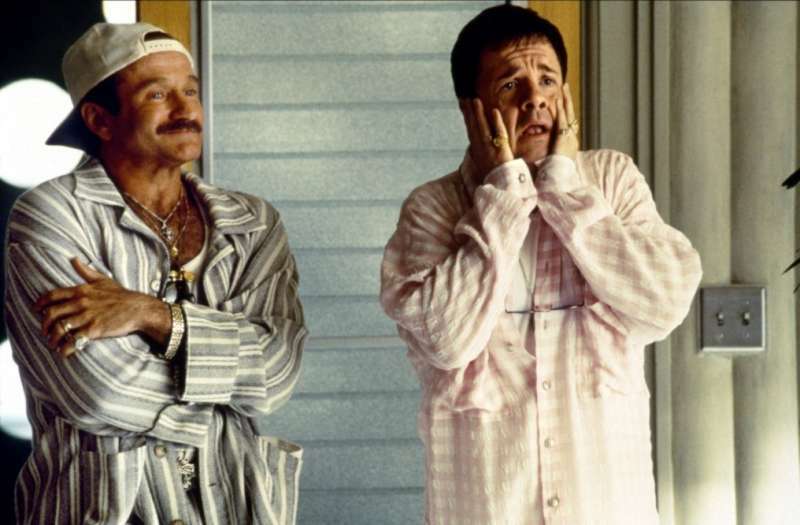 In the 1994 film The Birdcage, Steve Martin was originally cast as Armand Goldman, with Robin Williams set to play his partner, Albert. Scheduling conflicts caused Martin to drop out of the role, however, and Williams then decided to assume the role of Armand instead. Williams reportedly desired a change from flamboyant characters, as he had just dressed in drag for 1993’s Mrs. Doubtfire. So he asked to be cast as Armand, and director Mike Nichols agreed. Could you imagine these iconic gay films cast with different people? We can’t! Sound off in the comments below and on Facebook with your thoughts on these different casts.